When setting the foundation for a small business, owners have a lot to think about. Among the most important of details are those that keep us legally compliant, and prepared for challenges we may face down the road. Our featured Business Partner for this month is Joe Pence of JK Moving Services. JK Moving Services, an independently owned mover, has been in business for over 35 years. They handle residential and commercial moves locally, interstate and internationally. We are looking forward to hearing more from Joe during our chapter meeting! Get to know your neighboring professional organizers at local meetings this month. We will be meeting at a local restaurant for good food and great discussions! Time and location details will be added as each event is set up. Hosts & Moderators needed – We would love to have 2 people volunteer for each local meeting. The host will make the restaurant reservation and confirm RSVPs. The moderator will read the anti-trust laws and come up with a discussion topic and/or brief agenda. As we all know, there are so many different specialties in the home organizing & productivity industry. Our fellow NAPO Baltimore members Nadine Sachs & Laura Abell have recently been exploring the realm of photo organizing, and this month they will share their knowledge and resources with the group! 01/16/2019 Members Only 2019 Kickoff! 01/17/2018 Members Only 2018 Kickoff! 09/20/2017 Write your business success story! 06/21/2017 Upgrade your marketing materials with the latest techniques & professional photos. 10/19/2016 Steer your clients better in the world of art & photography preservation & conservation. 09/21/2016 Why hiring a bookkeeper may be your best business decision ever. 06/22/2016 How to take a month long vacation and keep your business thriving! 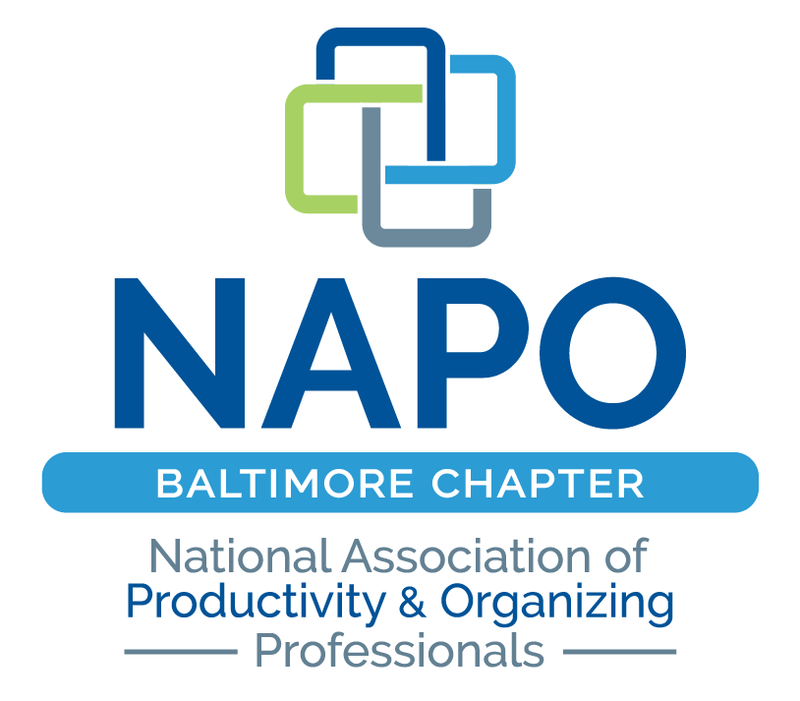 02/17/2016 NAPO BOD Member, Susie Hayman, Professional Organizer & Efficiency Expert: What NAPO Can Do For You! 02/18/2015 Round table discussion: Getting started as a professional organizer. What works and what doesn't work.